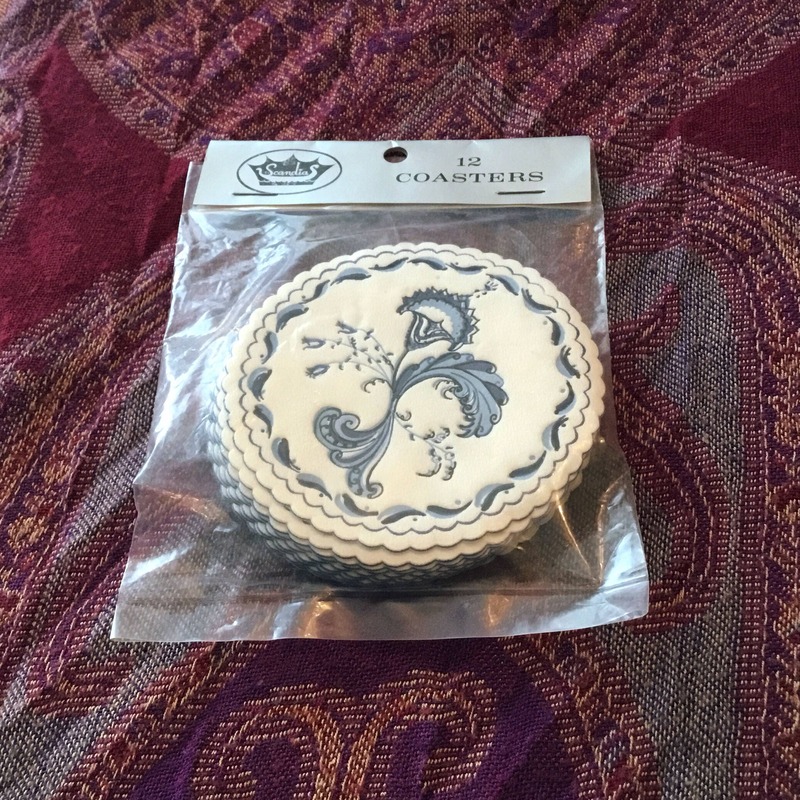 This VINTAGE package of PAPER COASTERS are from SCANDIA. 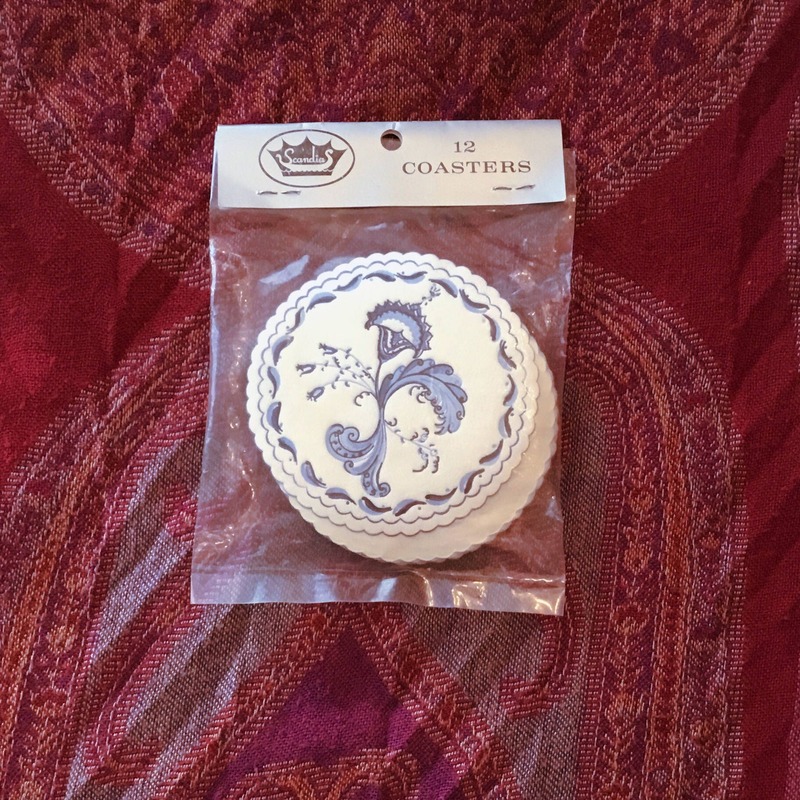 It includes a total of 12 coasters. Features a Blue FLORAL SCANDINAVIAN design on a WHITE background. Scalloped edge. SIZE: Approx. 3 1/4" in diameter. CONDITION: Previously Owned, Never Opened. Perfect for paper collectors or mixed media artists. Would make a wonderful hostess gift, too!